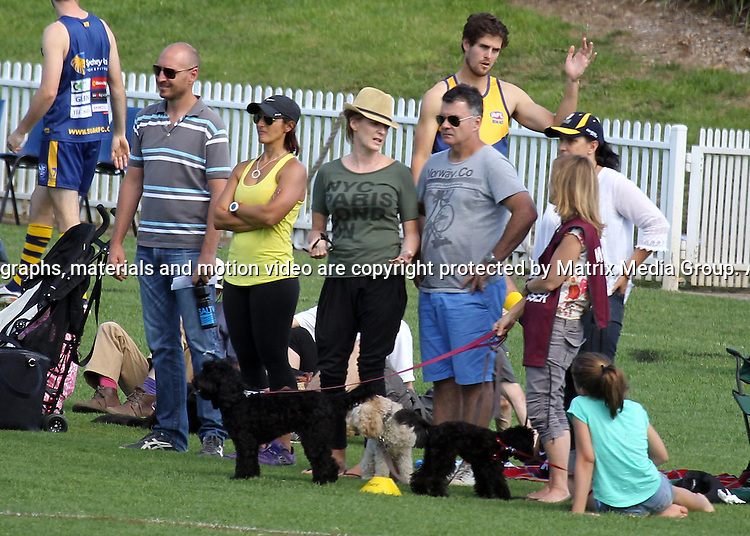 13 APRIL 2013 SYDNEY AUSTRALIA..EXCLUSIVE PICTURES..Kylie Gillies pictured with her husband Anthony watching her two sons play AFL football at Drummoyne Oval..*No internet without clearance*.MUST CALL PRIOR TO USE +61 2 9211-1088. Matrix Media Group.Note: All editorial images subject to the following: For editorial use only. Additional clearance required for commercial, wireless, internet or promotional use.Images may not be altered or modified. Matrix Media Group makes no representations or warranties regarding names, trademarks or logos appearing in the images..